Get mobile faster. Free delivery. Order by credit card for next business day SIM dispatch by Australia Post. We aim to keep our plans super competitive so you get much more for your hard earned dollar. Most of our plans come with unlimited calls and text within Australia. That's great peace-of-mind. 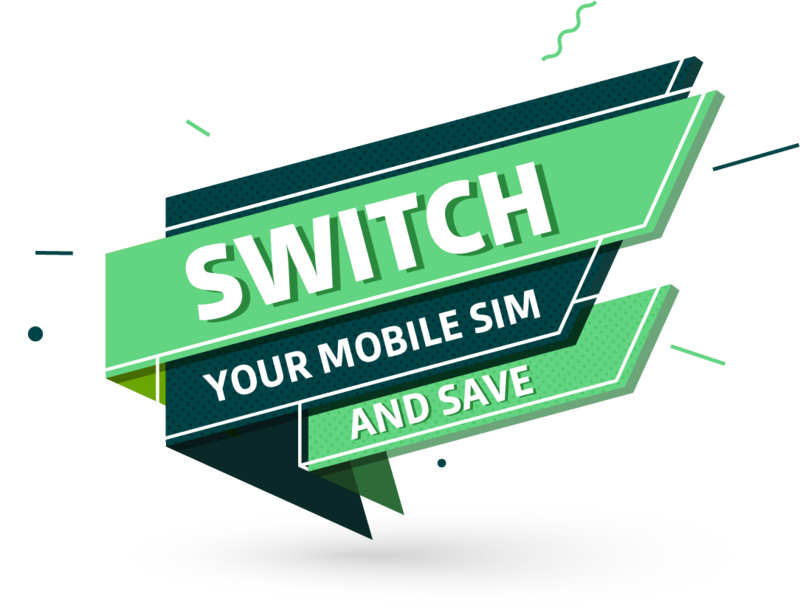 We'll get your new SIM to you within 2-3 days and delivered to your door FREE of charge. No matter how much data you need, we've got a plan for everyone. From kids to video lovers. Stream music, news, sport, video and movies on the move. All the entertainment you need, delivered super-fast and right to your phone. We give you great value data allowances together with the freedom of a no lock-in contract. Our SIM-only plans are super value. If you've got a phone we've got the best mobile plan deal for you. With Exetel's spend control function you can limit the cost of additional usage charges each month. A great way to keep the kids in check. Order today for free delivery of your 3 in 1 SIM Card. Our SIM fits any mobile device. Standard, micro or nano. Easy! Whether you're downloading or uploading, as you use your data we count each session in kilobytes. This means you get more usage out of your total data plan each month than if we counted in megabytes. That means your data goes further. Each Exetel mobile plan comes with a monthly allowance of measured in gigabytes, which is 1,000 megabytes. If you do happen to exceed your monthly data allowance, Exetel will automatically add additional data in 1GB blocks for $10 each (for the whole gigabyte). No lock-in means you can cancel your mobile service at any time by giving 28 days notice to Exetel. Plans with unlimited call or text allowances are subject to Exetel's mobile service acceptable use policy. You can read our acceptable use policy here. Some plans come with an included monthly value of international calls made from Australia to overseas fixed and mobile numbers. This allowance is pro-rated in your first month on the basis of the time left in your billing cycle. Once you exceed your included value allowance, excess charges will apply. You can learn more about international call charges here.